I took my Grandmother, Mom & son out for a short trip in upper Tampa Bay yesterday, so we had 4 generations on the boat. The plan was to target reds & possibly snook. Luke (my son) ended up putting on a clinic for the rest of us. 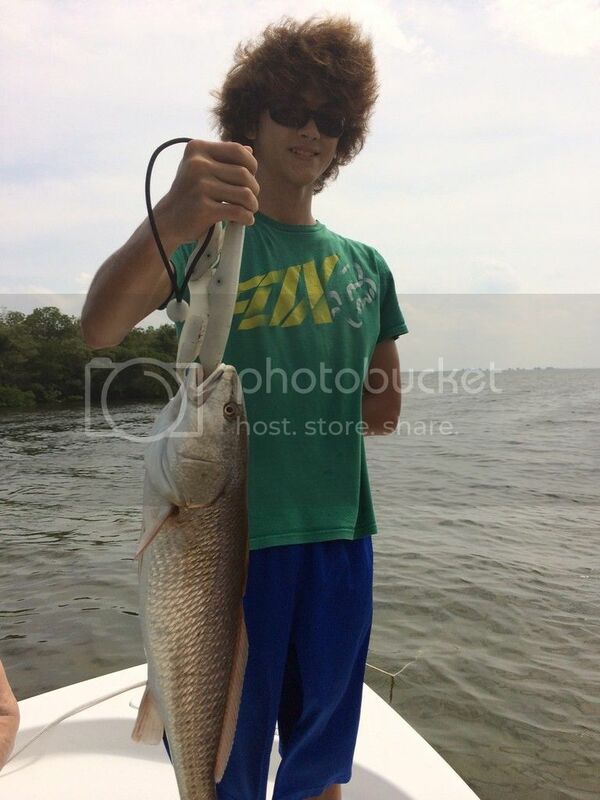 He started with a 23.5" redfish. While I was taking pics of that, my rod bent over in the rodholder and I was hooked into a big snook! Unfortunately, she broke me off. Another one bit a little later, and I got her close to the boat. This one looked smaller - possibly a slot fish, but once again my 20# leader broke. This time, just outside the range of the landing net. Then Luke hooked into one and showed me how to do it. After a few drag burning runs and masterful performance steering her out of the mangroves, he brought a beautiful 37" snook to the boat for a photo! After that, he had to try for a trout, so we ran to an area that usually holds them. Within 5 minutes, he was hooked up with a 17.5" trout. The old ladies were getting tired, so we headed to the ramp right after he caught it. Sweet!!! 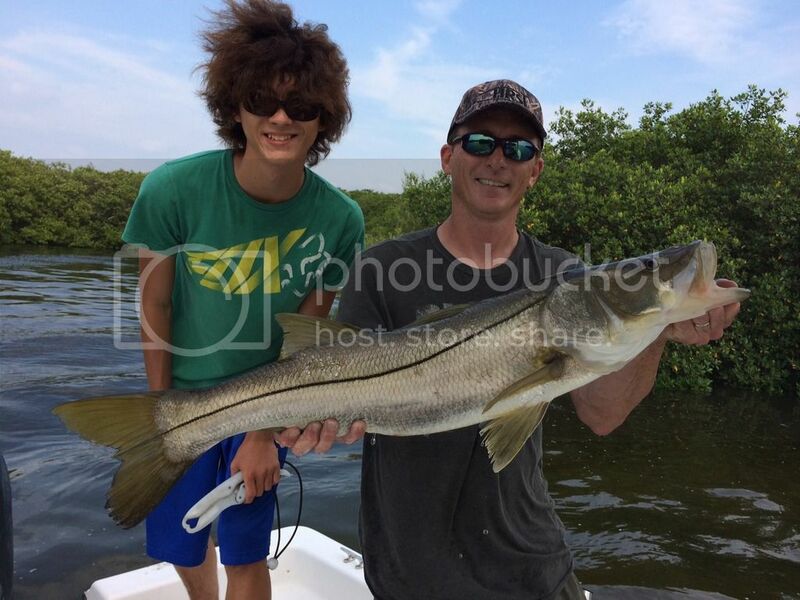 Been seeing and hearing about a lot of big snook caught recently. A special trip, indeed. WTG Luke and the Capt. for puttin'em on the fish. 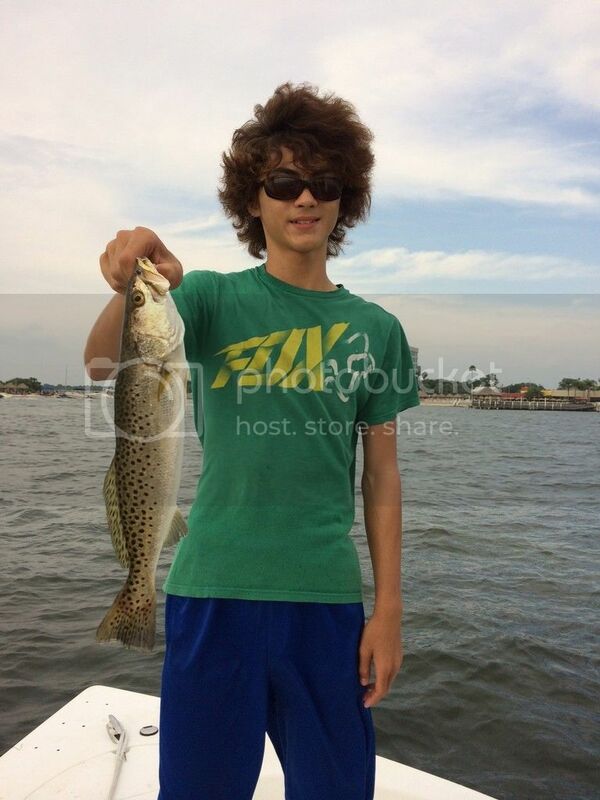 Not only is Luke sporting a killer hair do he can fish too! Nice job taking the family out. That's one nice slam. Sweet!! What a great trip. 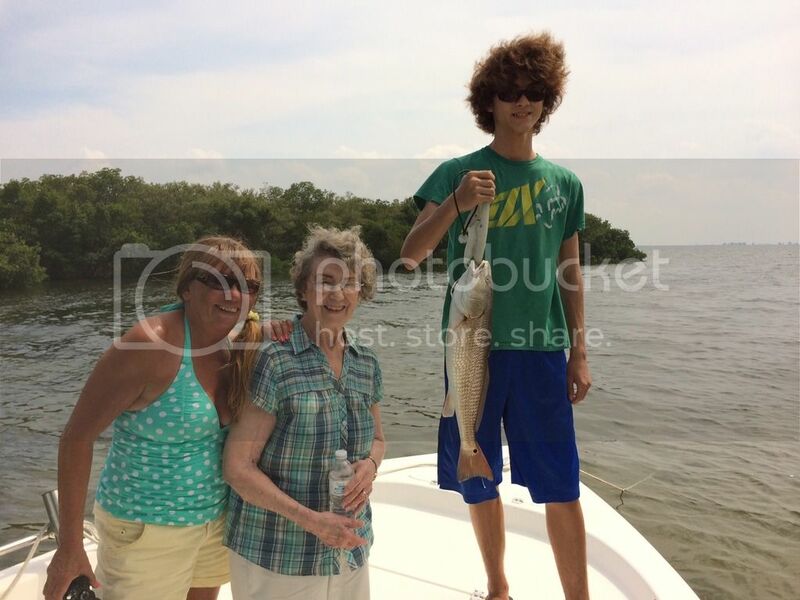 Wish I could of gone fishing with my grandmother and great grandmother at least once.